The names and faces may have changed, but the winning ways continued as the Sutherlin High School girls basketball program won its third consecutive state title in 2016. Douglas County Sports Online is proud to shine the Avista Athlete Spotlight on senior Taylor Stricklin. 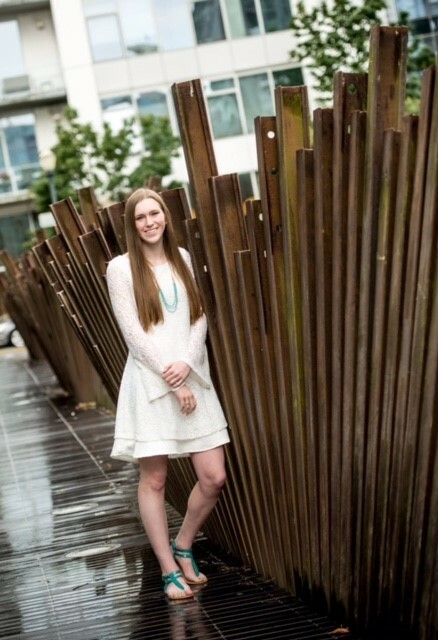 Taylor was born in Portland and grew up in Roseburg attending district schools through the 10th grade. She played junior varsity basketball as a freshman and earned a roster spot on the RHS varsity team the following year. During her sophomore campaign, Stricklin was one of the first players off-the-bench and played a key role in helping the Indians get to the OSAA 6A state tournament. 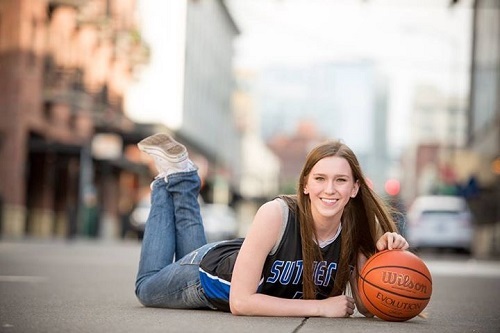 After the completion of the 2014-15 academic year, Taylor made the decision to transfer schools and play for the two-time defending state champion Sutherlin Bulldogs. "My mom was teaching and coaching basketball in Sutherlin, so the decision to leave Roseburg seemed to make a lot of sense," Stricklin says. "One of the other reasons was the fact I knew some of the girls in the program and that made the transition a lot easier." Taylor made an immediate impact on the team earning a spot in the starting lineup and helping lead the Bulldogs to a Sky-Em League title. Along with senior Kayce Mock and sophomore Harlee Baker, the talented trio guided Sutherlin to a 27-1 record and its third straight 4A state championship, a 45-40 victory over Cascade. "I think about that game all the time," Stricklin says. "There's nothing like the feeling of winning and I want to get back there again." "Taylor provided instant offense, she solidified our defense and there is no way we win the state title without her last year," Sutherlin head coach Josh Grotting says. The 5'11 guard was named first team all-league and honorable mention all-state, but her coach feels Stricklin deserved more. "I felt like she was one of the top 3 players in the state, but was often overlooked," Grotting says. "This year not only has she grown as a player, but also as a leader and I truly feel Taylor is the best player in the state at our level." After high school, Stricklin will most likely play her first two years of college basketball for the Umpqua Riverhawks. She will also have the unique experience of playing for her father, longtime UCC head coach Dave Stricklin. "When I was 5 years old I said if Duke or Tennessee didn't offer me a scholarship, I was going to UCC, Stricklin says." "It will be a cool experience to play for my dad." Taylor is also an outstanding student and plans to pursue a degree in nursing.